The global IoT market is developing from focus market to mainstream, as IoT network is the key component of a new generation of Information Technology. According to a report by International Data Company, the global IoT market has an overall investment of nothing less than 736.9 Billion dollars in 2015, and there is a prediction that this number will increase up to a huge amount of 1289.9 Billion dollars by 2020. Also, the number of IoT device carrying IoT software and transmitting data has been predicted to sky rocket from 14.866 billion up to 30 billion by 2020. 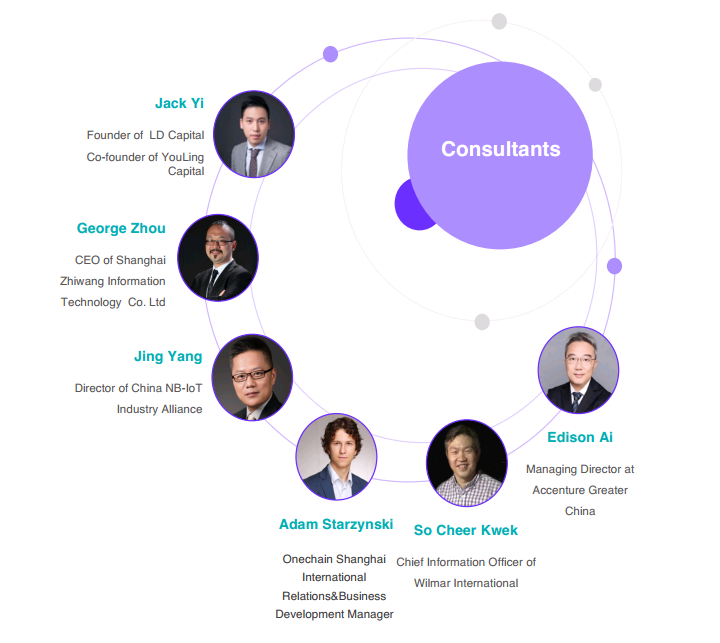 The members of IONChain team recognised this opportunities and also sees the challenges the market is facing and then decided to be a saviour in the global IoT market. IONChain is a non-profit-making foundation which was founded in 2018 in a city called Singapore. IoT is an IoT infrastructure project with the aim to provide solutions to a wide range of the current problems or challenges of IoT networks in terms of data security, data circulation, data sharing and data transactions, thereby promoting the effectiveness of the ecosystem of IoT. How does IONChain platform achieve this ? The platform of IONChain achieves this by implementing the concept of "One Device, One Coin, One Coin" which help to bring about the integration of IoT devices with the unique and intelligent network of IONChain blockchain. 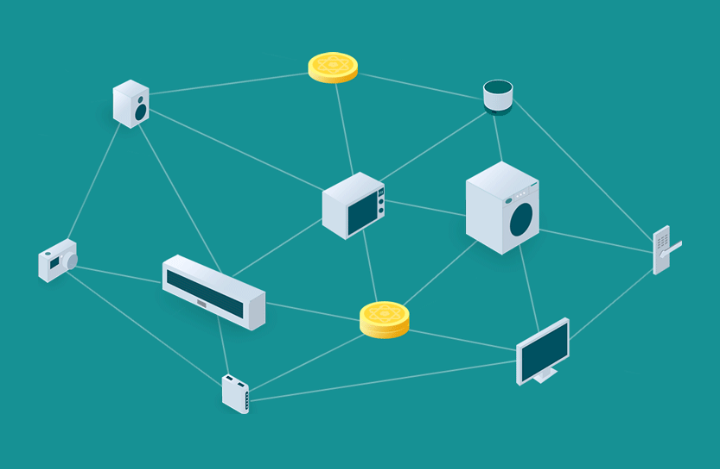 Every devices on the IoT network will be efficiently utilized as a mining machine through the use of Edge Computing technology, and every IoT devices that uses IONChain will be entitled to get a reward for mining. Since IONChain operates on the blockchain technology, there is no issues about he reliability and verification of the source of data on the IONChain network. In 1887, a theory of ionization was proposed by the popular Swedish physicist named Arrhenius which postulated that ions also form basic particle in the formation of substances in the same way molecules and atoms does. IONChain got its name because of the underlying connection it is ready to create between all the IoT devices to act as a backup for the decentralized P2P communications among all the devices. 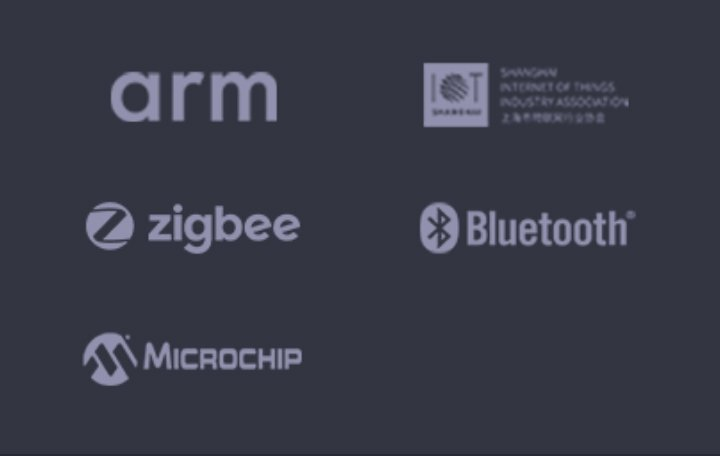 There is no clarification yet about the establishment of business model in the IoT industry. This is mainly because there have not been a genuine application of the massive data resources generated by IoT in any business scenario that is of large scale till this very time. The challenges of data security and the de-anonymization of privacy is one of the great challenges of the emerging internet technology. IoT devices store the data of both individuals and businesses, which can in turn be used to trace the activity of individuals and business and thus blow up their anonymity. A single user do not have total control on the data he/she give out to the system, plus he/she is ignorant of its location or usage. In recent years, hackers have succeeded so much in their attacks on the massive centralized storage servers where most companies store data. Due to product design barrier, there is little room or protocol which supports the cross-communication between this devices making them less adoptable for cross-platform, cross-industry interactions. What us needed is a protocol that unifies all these devices and make them interoperable for mainstream adoption. IONChain is built to respond to all this failings in the IoT industry. Therefore combining edge computing technology with the blockchain technology will enable these host of smart devices to act independently by processing its own data while also being able to interact trustlessly without the influence of any third party. The edge computing offers these devices the ability to compute their data by themselve with little or no dependence on a cloud infrastructure ensuring security and privacy of such data. Transfering data is deployed via the help of a smart contract which ensures that data stays secure while maintaining user privacy. This allows the device to compute task on the surface with little or no support from a cloud feature. Therefore this makes IONChain a secure channel for creating value! and reducing network latency in the process since most devices will be less dependent on cloud resources except when computing large task. This reduces the overall latency of the network. However, in a bid to boost the computing power of all connected device on IONChain , an edge computing center is built which serve as an intermediary device for improving the device computing power. Blockchain is deployed in the sense that it offers more security and privacy when the data/value are being transfered or in circulation; making the network more reliable for interoperability of these devices. This is unlike the present cloud and internet infrastructure which is controlled centrally and subject to manupulation or hacks. Edge computing and Blockchain serve as the backbone of a value based economy. 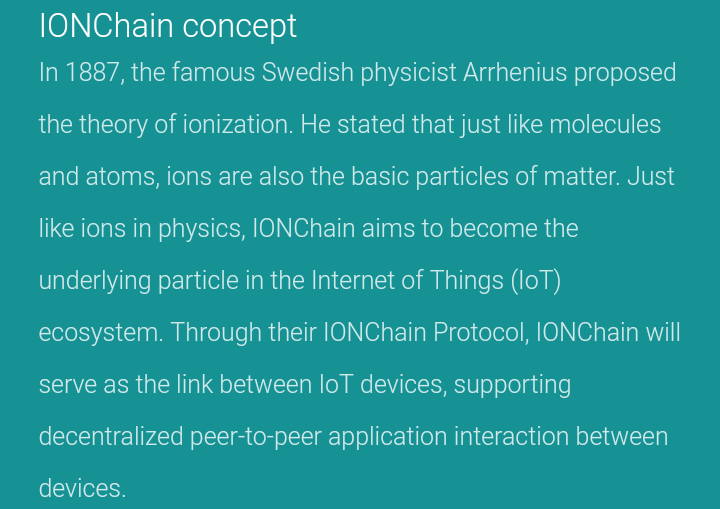 This encompasses the structure via which datas are created or transfered by different layers within the IONChain protocol. Any device can be a mining machine on IONChain. It is this urge that drives the creation of value since all devices can process data by themselves without much ado. And since each device bears a unique identification number, values created can be transfered easily as we shall get to see. This is the point at which data generated are verified by all participating node via a consensus mechanism where every nodes must agree before the data can be passed as valid. Smart Contract Layer; Act as a bridge to connect the blockchain layer with the applications. Blockchain Layer; . IONChain uses the IPOS algorithm instead of PoW and PoS algorithms. Data Storage Layer; Combine both the IPFS(Inter Planetary File System) and BigChainDB distributed database structure. 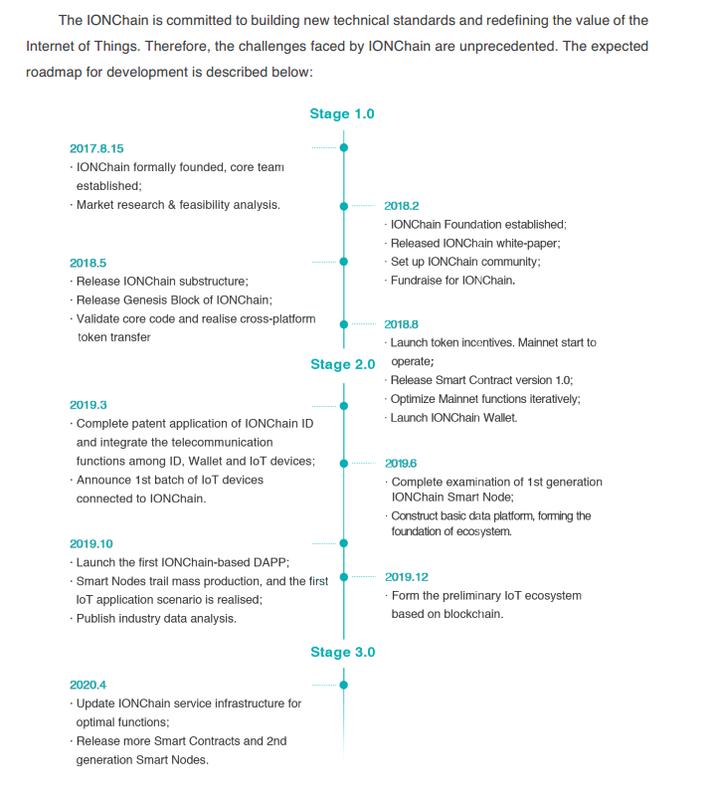 Source : Whitepaper page 20. If we are to seize the immense potential in the use of IoT devices in our everyday lives. There will always be a need for an underlying protocol that provide users with sufficient security, privacy and fast response time. IONChain fits the bill interms of exploiting this thin line between security/privacy option versus time of response well initiated right from the concept stated above. This is a reminder of the concept in the diagram below. Mr forshaw is collecting data for his thesis and 2 months into his research, he realised how hard, capital expensive the exercise would be. Since he working on a project that requires data from an automobile combustiin engine, he could liaise with a survey company who collects data from automobile company for this reason. And since this company is based on the IONChain protocol, he could get fast and reliable data from real users by deploying the DApp of such company. By using his device, he will incentivize himself and also incentive the company as well.